Now that the temperature has significantly dropped in NYC, fall is officially in full swing. 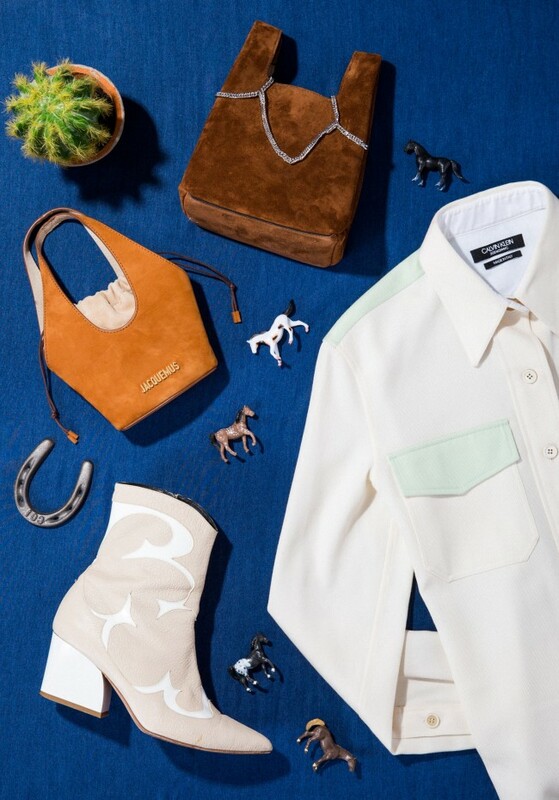 While we’re not mentally prepared to swap our brightly colored dresses for brightly colored puffer coats, we are ready to embrace our favorite trend of the season: all things Western-inspired. 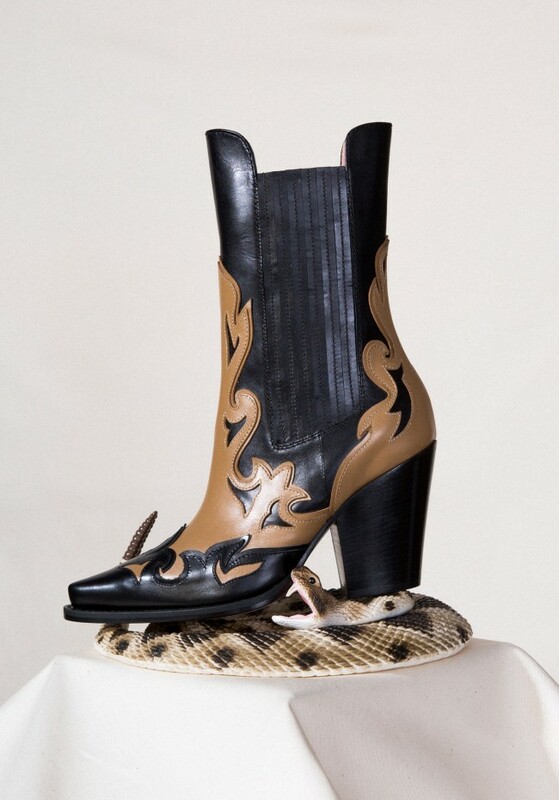 After watching brands such as Fendi, Isabel Marant, and Calvin Klein champion Western style on the runway, we can’t wait to let our inner cowgirl run wild (in an elevated fashion, of course). 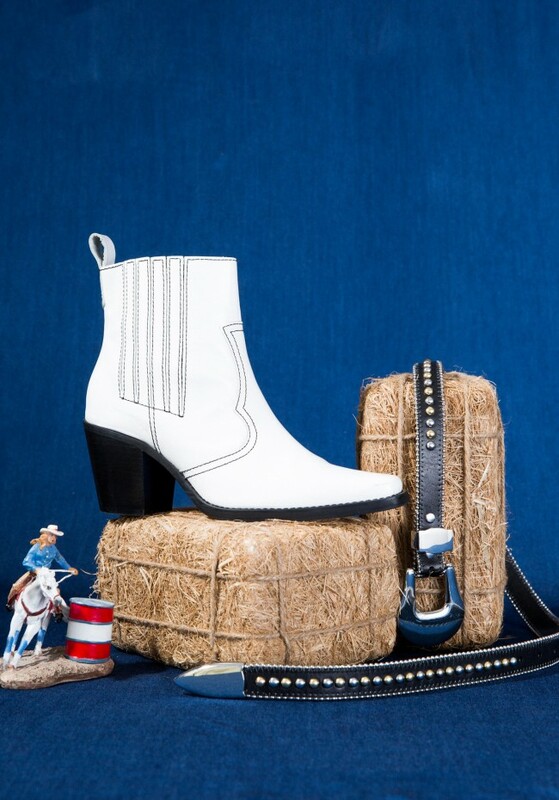 You may not catch us on a ranch, but we're eager to sport the trend nonetheless. 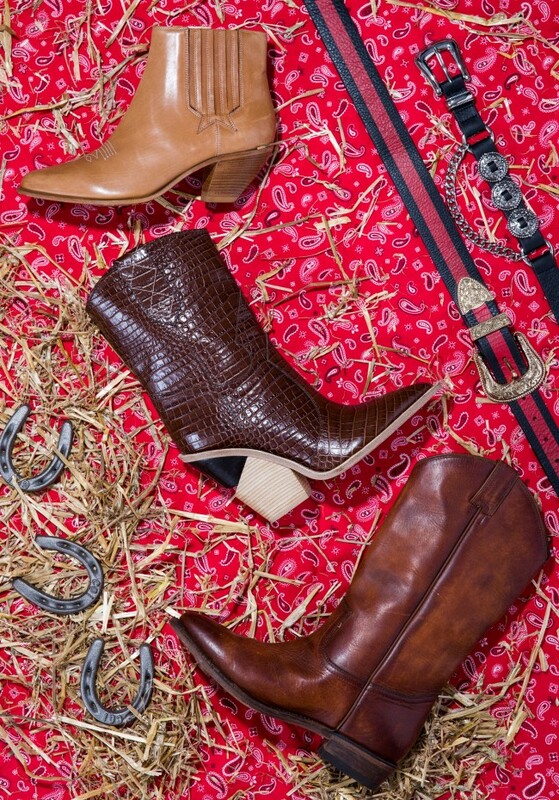 Check out our favorite Western-inspired footwear and accessories below, and take note: It’s all in the details. 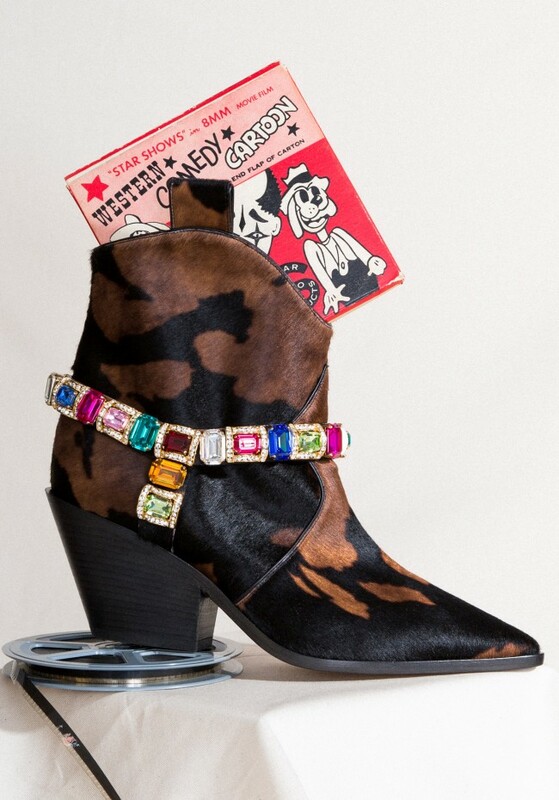 Whether it be through a simple shirt, rustic metal belt, or even a pair of bright pink bejeweled cowboy boots (yes, they do exist! 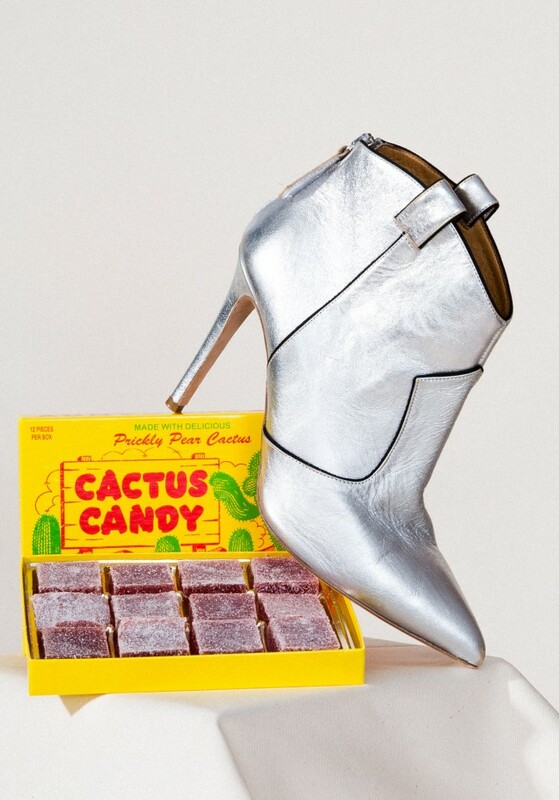 ), Western dressing has never been easier to style. 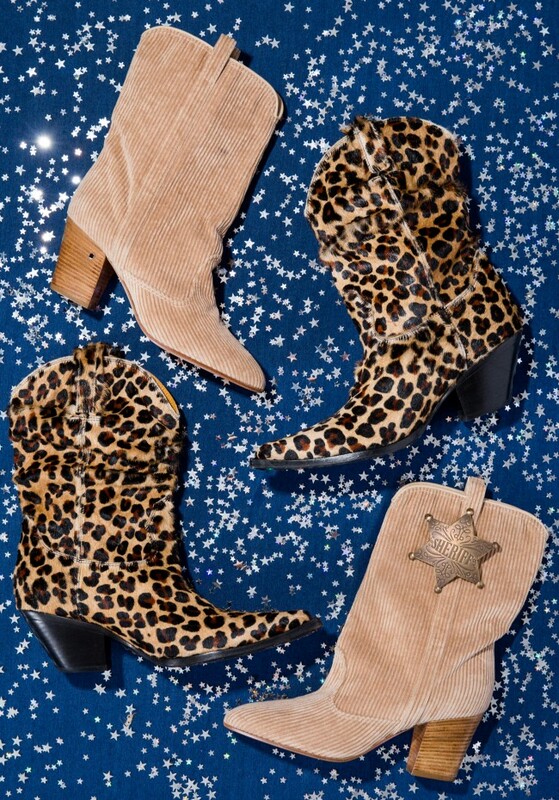 Keep it classic with Frye’s distinctive leather, or switch things up with a leopard-print pair from R13. 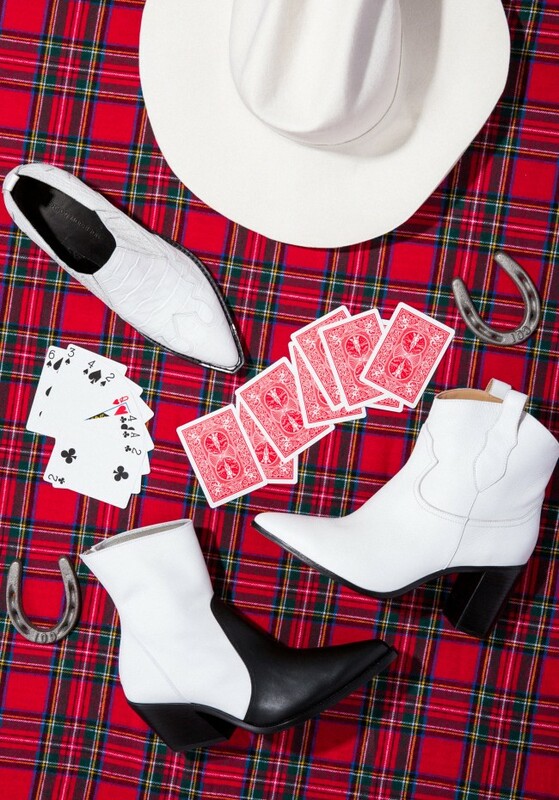 If you’re not completely sold on the standard cowboy silhouette, go for a low-top version by Sigerson Morrison or a stiletto—perfect for a night out—courtesy of Veronica Beard. Top off your look with a tiny Jacquemus bag, and you’re good to go.